Partners in Health and Aging. Duet was started in 1981 by The Reverend Dr. Dosia Carlson and Church of the Beatitudes in Phoenix. At that time, our name was Beatitudes Center DOAR (Developing Older Adult Resources), which later changed to Duet: Partners In Health & Aging in 2009. Duet is a non-profit, interfaith organization that promotes health and well-being through its vitally needed, free-of-charge services to homebound adults, family caregivers, faith communities, and grandfamilies. Duet’s services are based on one person helping another. We partner with individuals, businesses, non-profits, municipalities, government organizations, and faith communities to make that happen. Our trademark is a butterfly created from two equal halves. This represents the many successful partnerships that are needed in order for Duet to provide crucial services to older adults throughout the Valley. The white space around the butterfly contains two faces looking toward each other and a more hopeful future. We respond to pressing needs that are not being met through other organizations. 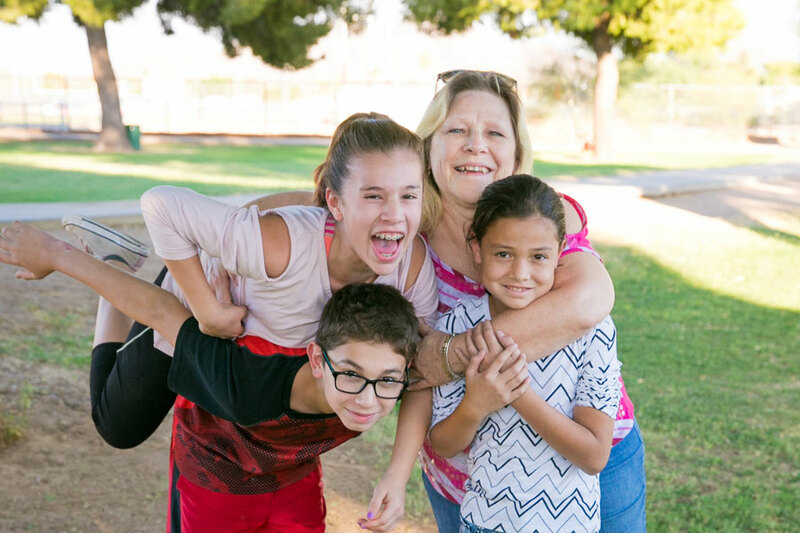 Duet was the first in the Valley to offer free-of-charge volunteer services for homebound adults, as well as comprehensive services for family caregivers and grandparents raising grandchildren. Duet also introduced the concept to the Phoenix area of congregational health programs led by faith community nurses. Duet exists because caring partners dedicate time and funding to change lives. Hundreds of compassionate volunteers help fulfill Duet’s mission. Join us as we strive forward in expanding services and providing compassionate help to keep pace with the needs of our growing community. Discover Duet is a succinct, one-hour introductory gathering to learn about our vision through facts and inspiring stories of people impacted by our services. Whether you are new to Duet or a seasoned supporter, you’ll walk away realizing there is so much more to Duet than you knew before. RSVP for our next Discover Duet below. Discover Duet is a succinct, one-hour introductory gathering to learn about Duet’s vision through facts and inspiring stories of people impacted by our services. Whether you are new to Duet or a seasoned supporter, you’ll walk away realizing there is so much more to Duet than you knew before. Please enter the date of the Discover Duet Event this RSVP is for. Ann Wheat has served as the director of family caregiver services since 2014 and is now Duet’s interim Executive Director. She holds a bachelor’s degree and has completed graduate studies in recreational management from the University of Arizona. Ann was a member of the Duet Board of Directors from 1999-2005 and co-chaired Duet’s major fundraising events. Before her service at Duet, Ann was an acting deputy director for the City of Phoenix. Sue Reckinger has served as the director of volunteer services for Duet since 2007. Sue holds her CVA (Certification of Volunteer Management) from the Council for Certification in Volunteer Administration and has worked in volunteerism since 1991. Before her service at Duet, Sue worked at the Area Agency on Aging, Region One as a volunteer specialist. Nichole Barnes has served as the director of communications of Duet since 2014. She holds a bachelor’s of business administration with a major in marketing from Iowa State University. Prior to her service at Duet, Nichole worked in development and marketing roles at World Vision and UMOM New Day Centers since 1994. Julie Blake has served as the director of operations of Duet since 2013. She holds a bachelor’s degree in psychology with a minor in mathematics from the University of Arizona. Julie started as a volunteer with Duet in 2001, helping to edit the Duet website. She was hired by Duet as an administrative assistant for Congregational Health and later as financial secretary. Patricia Dominguez has served as the director of kinship care services of Duet since 1998. She holds both bachelor’s and master’s degrees in social work from Arizona State University. Patricia started at Duet as an intern in 1997 and has developed many of Duet’s kinship services from the ground up. April Polley, RN, MBA has served as the director of congregational health of Duet since 2017. She holds a bachelor’s degree in nursing and an MBA from Grand Canyon University. Prior to her service at Duet, April directed Grand Canyon University’s Campus Health Center for 20 years, served as Clinical Adjunct Professor in GCU’s College of Nursing, and has been a parish nurse at Madison Church since 1988. She also served Duet as an educational coordinator for the Foundations of Faith Community Nursing course. Duet is looking for a Director of Philanthropy. The Director of Philanthropy is a full-time position that creates, coordinates, and implements a comprehensive development plan that achieves Duet’s budgetary and strategic goals. The position engages staff colleagues, board members, and other partners in service in a robust culture of philanthropy that leads to long-term sustainability for Duet. Click here for the job description. Get a bit of compassion, dignity, and hope delivered right to your inbox. Sign up for our monthly e-news and be the first to hear about upcoming Duet events, volunteer opportunities, and service offerings. Stay social by reading our Blog and following us on Facebook, Twitter, YouTube, and LinkedIn.